Cat Hospital of Dallas welcomes you to our website! Cat Hospital of Dallas provides purrsonalized compassionate care for your feline family members. Every member of our healthcare team is a committed cat lover, and we treat every patient as we treat our own beloved cats. We provide a quiet, relaxing, cat-only environment for our patients, with individual attention to each cat. As cat lovers, we understand the bond you share with your pet and are committed to helping you keep your cat happy and healthy for as long as possible. We strive to become your pet healthcare partner, addressing your concerns and providing preventive care education to keep your pet healthy. 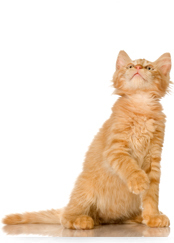 It is our commitment to provide the highest quality veterinary care throughout the life of your cat. Our services and facilities are designed to assist in routine preventive care as well as early detection and treatment of disease. Thank you for taking the time to read about our veterinary practice and the services we offer. We welcome your comments and suggestions. Please contact us at (214)348-2463 for all your cat health care needs.